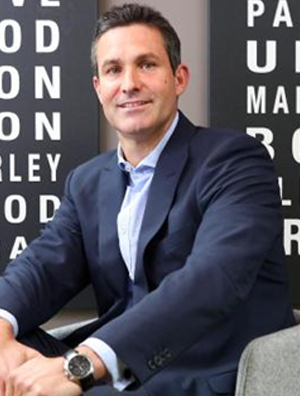 Jonathan Rowley is Managing Director for Order-In. Order-In is Australia’s largest online platform for catering. After graduating from Queens University in Canada with a Political Science Degree with Honours, Jonathan worked in the FMCG sector for over five years, specialising in Sales and Trade Marketing, before relocating to Australia in 2000. Coming from a family of entrepreneurs, Jonathan was inspired to save offices from the monotony and limitations of traditional corporate catering, which often saw businesses stuck with a single caterer. By creating the first of its kind, innovative online platform where businesses can easily order food for their office, Jonathan has revolutionised corporate catering. By establishing Order-In, he became a pioneer of the food-tech industry, launching the now highly popular concept of ordering office food online. With a passion for giving back, Jonathan regularly takes part in charity initiatives, including the Vinnies CEO Sleepout, OzHarvest CEO Cookoff, and The Smith Family Challenge. Order-In also supports OzHarvest via a donation opportunity for every sale on the platform, while actively encouraging Indigenous and not-for-profit catering suppliers onto its platform.